For your upcoming presentation make a great impression right at the get-go. 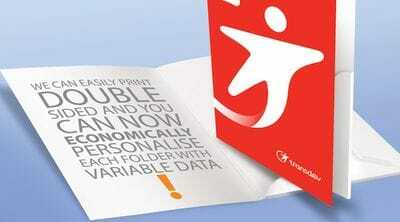 Hand out branded, personalised presentation folders. The possibilities are limitless, our designers will work with you to get your message across in the style you're looking for. Does your company or organisation have many different departments and a large client base? Snap personalised presentation folders can create a distinction between the different departments. If you have a team on the road, give them something to make each and every client feel special. At Snap small runs are an economic possibility. Our designers are world class.